It’s never too early to start taking your child to the dentist. At Kirkland Family Dentistry, we offer pediatric dental services to children even before they are born by providing education and information to mothers-to-be. Ensuring that you have all the information you need to make an informed decision about your baby’s or children’s oral health is important to us. Knowing that your children should see the dentist is just the start. We want our patients to know why good dental health is something to start practicing as early as possible. 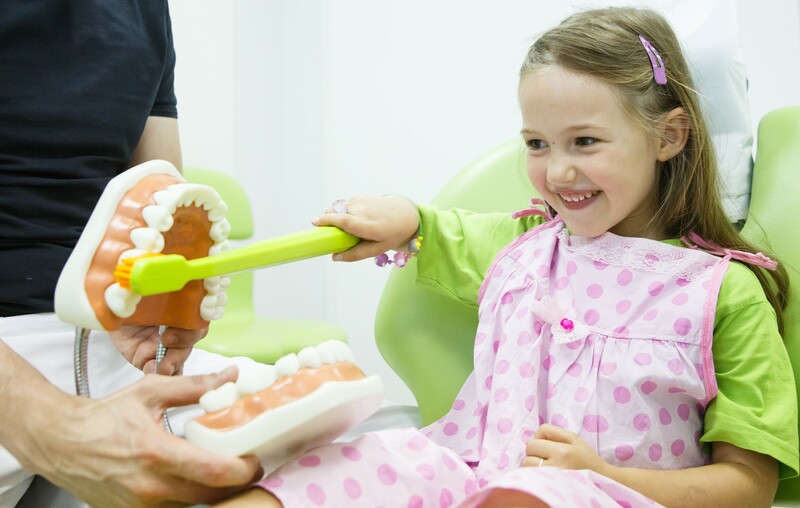 Read on to learn what pediatric dentistry is all about and how we can help. Good oral health starts during childhood. Regular visits to the dentist and learning the proper way to brush and floss all help to develop good oral health habits that will continue through adulthood. When your child visits Kirkland Family Dentistry, they’ll be greeted by our friendly and knowledgeable staff. You’ll be made to feel welcome and never out of place in our family-oriented Kirkland dental practice. During your child’s first dental visit, we’ll be examining their gums and any teeth that have erupted in the gums. While these first office visits are simple to start, it is a good idea to get the groundwork laid for a healthy smile in the future. We’ll ask some questions and discuss any concerns parents may have, perhaps take some x-rays, and get a sense of dental history in the family. Overall, our first visits our to learn more about your child and potential issues to keep an eye out for. As your child grows, we’ll begin cleaning the teeth regularly and taking regular x-rays to keep an eye on any issues that may be developing so we can create a plan for prevention and treatment. Children can begin visiting the dentist before their first birthday if one or more of their baby teeth (primary teeth) has come through the gums. If your child is older and has not been to the dentist before, making an appointment as soon as possible is recommended. The sooner your child sees a dentist, the healthier their teeth will be. We do not wish to scare parents into taking their children to the dentist; we only wish to educate and inform parents so that they can make informed decisions about their child’s oral health, ensuring that children see the importance of regular check-ups, examinations, x-rays and more. It’s no secret that good oral health begins in childhood. Some parents think that because primary teeth all fall out, there is no need to have them examined by a dentist. ; in fact, this is the most important time for a dentist to examine your child’s teeth. Early access to a dentist can help prevent a number of conditions and issues later in life. For example, if teeth are not coming in as expected, are painful, or are infected without treatment or intervention, children could grow up having lost teeth or suffering ongoing issues that could have been prevented. The easiest way to treat issues with children’s teeth is to prevent them altogether. 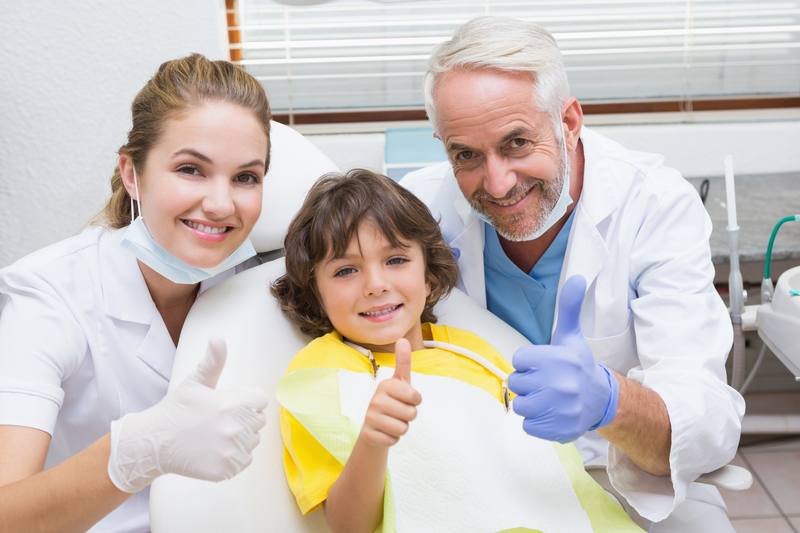 Many children will have common issues such as cavities or gingivitis, but when they see a dentist on a regular basis, they are able to better manage those issues now and in the future. What’s more, primary teeth help clean the path for adult teeth that will grow in behind them and if there are problems with primary teeth, you can expect that adult teeth may suffer some of the same issues. Getting problems under control at an early age means that children don’t grow up experiencing pain, discomfort, loss of teeth, or other issues. Teenagers are encouraged to attend regular dental appointments as well to ensure that their adult teeth are not crowding and to prevent other issues from happening. In addition to establishing an early relationship between your dentist and your future child, many people still don’t recognize the connection between good oral health and overall health. Every expectant mother should be aware of the importance of oral health throughout their pregnancy. We encourage expectant mothers to make an appointment at Kirkland Family Dentistry to have a checkup and ensure their own oral health is in good standing. Because everything a mom-to-be does can impact her baby, ensuring there are no infections or issues with your teeth can ensure your baby doesn’t become exposed to those conditions. Plus, it’s always a good idea to see a dentist on a regular basis, but particularly so when you are pregnant. New patients are always welcome at Kirkland Family Dentistry. 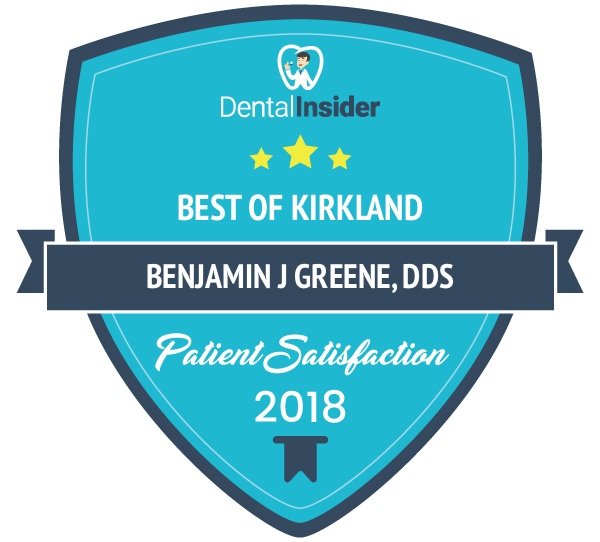 Kirkland Family Dentistry has been voted the best dentist in Kirkland four years in a row! If you are expecting a baby, would like to learn more about the benefits of pediatric dentistry, or would like to make an appointment for your child to visit Kirkland Family Dentistry, give us a call today. You can reach us at (425) 822-0435 or you can book an appointment online.